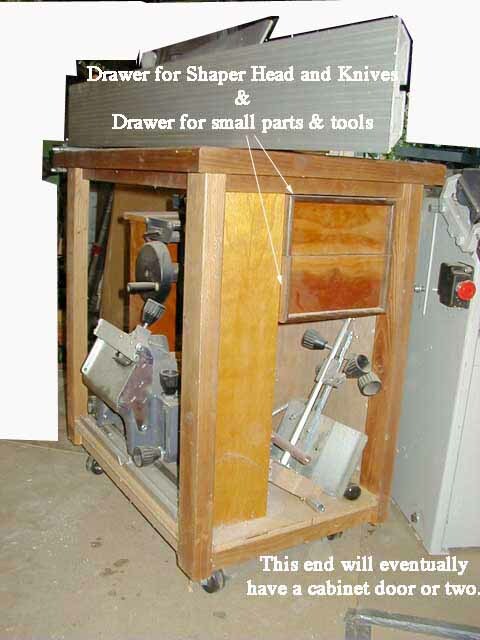 The Robland X31 Combination Machine has quite a few pieces and parts that aren't normally left on the unit. The XYZ Mortiser Table is probably the heaviest of these parts. It's also a) tricky to lift and carry because the table, if not locked down, can move and b) isn't made to stand up in any position. 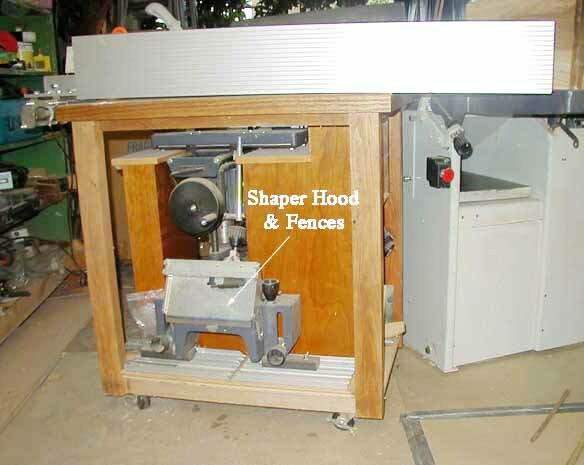 The shaper guard with it's infeed and outfeed fences is the other big part that "floats" around the shop (floats is probably a bad choice of words - it probably weighs 40 pounds). 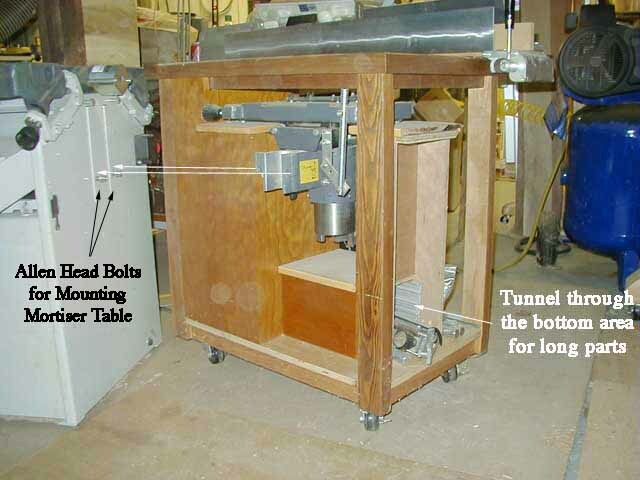 Then there's hold downs, hold ins, various rods, wrenches, the jointer knife setting jig etc. Thought it would be a good idea to make a cart just to hold the mortiser table so I wouldn't have to lug it around. 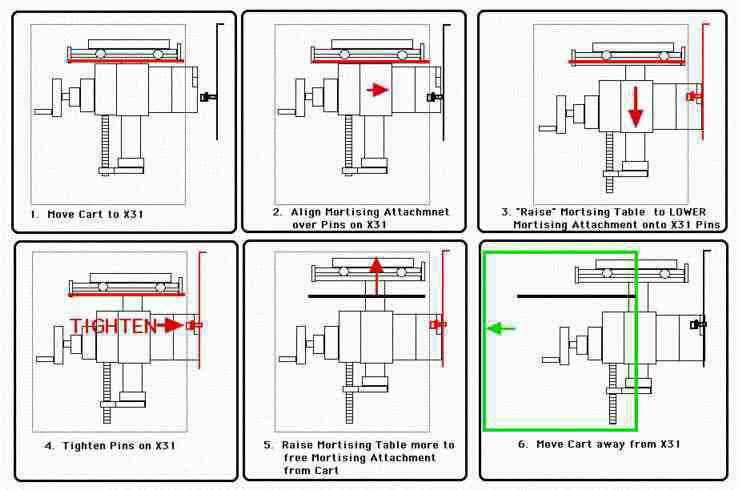 Roll the cart up to the X31, slide the mortising table over its mounting pins, lower it and remove the cart. So here's what I've got so far. Still need to make some cabinet doors to close off both ends and keep dust off the parts inside but it's functional and almost all the X31 accessories and spare parts are finally in one place. The drawers were an afterthought. Had some room and some scrap cherry for drawer faces so I made two drawers. The drawer face wood looked like a desert landscape to me so I framed them - in black walnut. They hold the shaper head and knives as well as the little stuff for the X. That's the way I seem to make stuff. Start out simple and then let things evolve. But I'll let you in on a little secret. I did it all in MDF first, pocket screwed things together to test ideas and then made the real thing when most of the bugs had been worked out. Learned that from Norm - make the prototype BEFORE using The Good Stuff.